Pasta, Pasta and More Pasta! This week marks my first week back to work and I have already fallen into the same old supper time habits. Pasta, pasta, pasta! 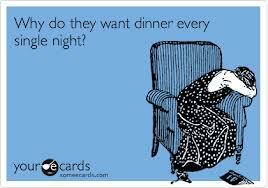 I am already in the rut of the easy meal. You know what I mean, boil the water, place pasta in pot and 7 minutes later Voila…another pasta dinner. Then move on to homework, laundry, lunches and dog walking. We each have our favourite pastas, Beckett loves noodles with cheese, Andie like plain straight noodles with butter, Katie shells with Parmesan and butter, DH lasagna and I love my cheese & chicken filled pasta with arugula and homemade tomato sauce. Oh sure I put cut up veggies or garden salad with ranch dressing to accompany the pasta but after awhile they start to complain about the abundance of noodles. I do love the complaints, “Moooommmmyyyyy I don’t want more noodles!” ….Truth be told neither do I.
I am lucky enough to be working with Mom Central Canada for the next few months spicing up our dinner routine. We are going to move south of the border and branch out with Old El Paso. We are already Taco Tuesday fans but we want to spread our Mexican wings and try dinner ideas like: Bean Burrito Mondays: saucy Saturday enchiladas and feisty fabulous Friday fajita anything to bringing life back to our dinner table. We are looking forward to being Old El Paso Ambassadors…..Ole! September brings horse back riding lessons, gymnastics, school routines and indoor soccer. We are going to enjoy having a little help along the way with dinner inspiration from Old El Paso & Mom Central Canada.